From Hacienda La Ciénega, near Cotopaxi, Ecuador. 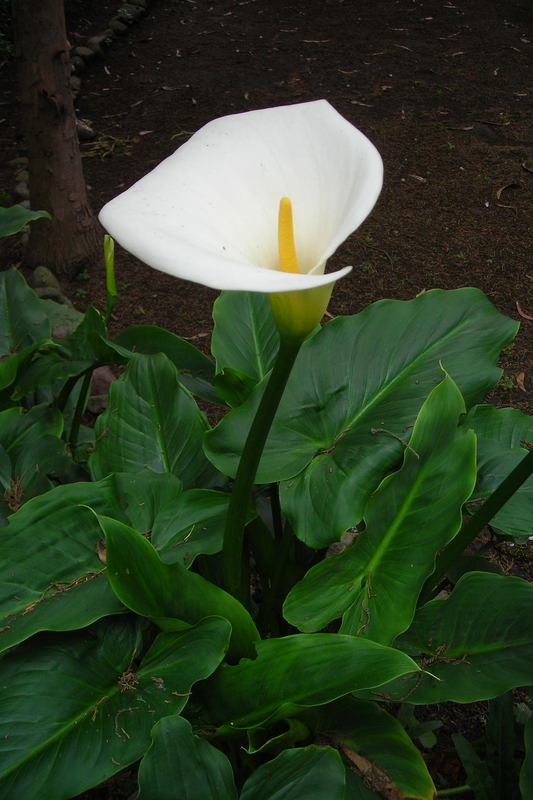 This calla lily (Zantedeschia spp.) from the gardens of La Ciénega sports a yellow spadix, which is an inflorescence of small flowers on a fleshy stem. The white part of the calla, called the spathe, is actually a bract or modified leaf, which acts like a petal to guide pollinators to the spadix. A subtle injection of yellow! Beautiful nonetheless.